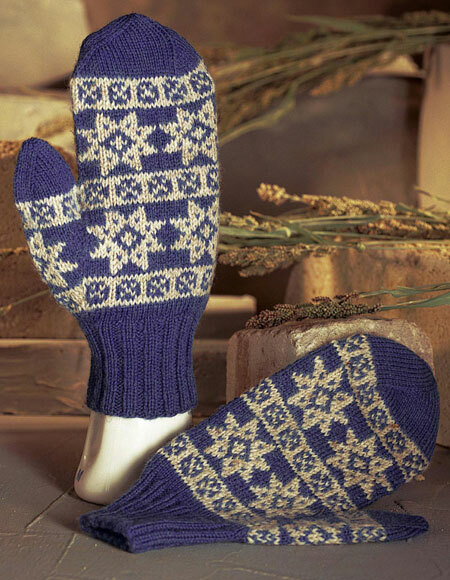 Sizes Included: Adult Med - 4 1/2" x 10 1/2"
As you are skiing, driving, or shoveling snow, the sun motifs on these mittens will remind you of warmer days of summer ahead. 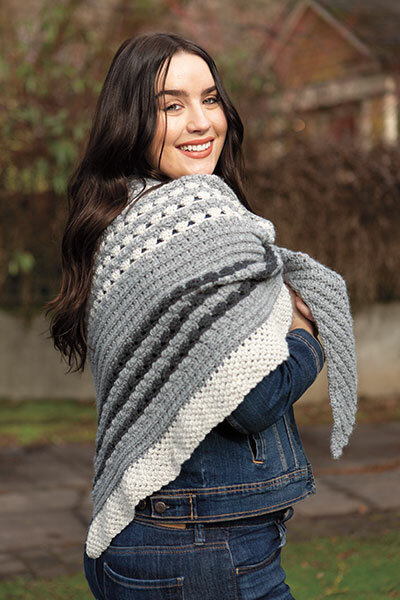 Knit with just two colors, the design is elegant. 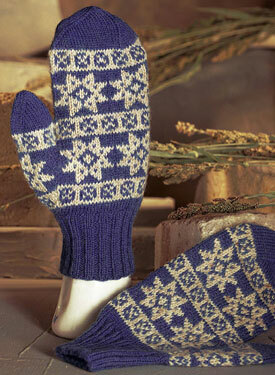 For a more flamboyant pair of mittens, work each section of the chart with a different color.